Cebu Parklane International Hotel officially welcomed the most wonderful time of the year in its hallways last November 14 with their ceremonial Christmas Tree Lighting Ceremony. The momentous occasion was graced by Cebu Vice Governor Agnes Magpale and Former Department of Tourism Central Visayas regional director Dawnie Roa. Since super typhoon Yolanda ravaged the Visayas in 2013, Parklane has taken the green and eco-friendly route by using recycled materials. It started with a Christmas tree made of water bottles in 2014, water gallons in 2014, hotel slippers in 2015, and cardboard boxes of used tissue rolls in 2016. 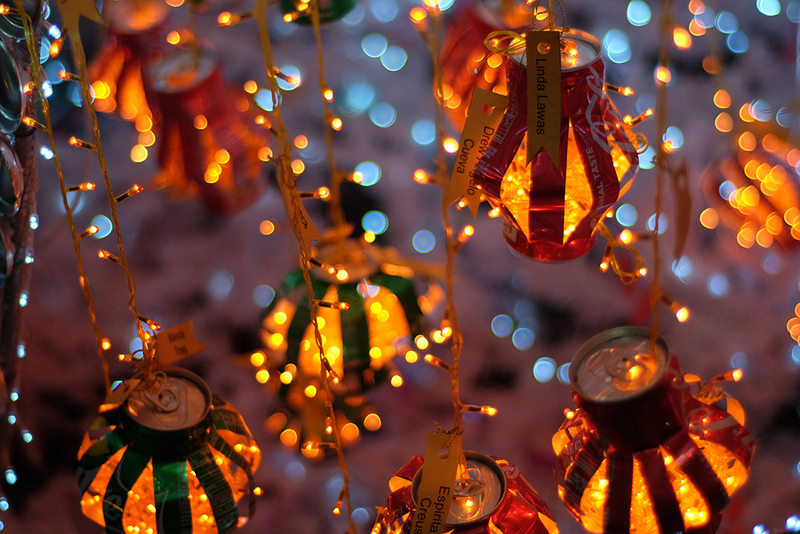 This year, the hotel is using 19,000 recycled tin cans. Each trinket on the Christmas tree bears the name of its donor. For P250, you get to donate one vial used for chemotherapy to treat a child diagnosed with cancer. The management of Cebu Parklane International Hotel turned over a check to Cancer Warriors Foundation Inc. – Cebu chapter. This year’s Christmas celebration of Parklane is highlighted by its partnership with the Cancer Warriors Foundation, Inc. – Cebu. Definitely, you CAN help, through a CAN. In this Yuletide season, Parklane celebrates the little things we do that make a big difference in the lives of the people we love, because it’s not how much we give, but how much love we put into giving. For more information on how you can still help, you may visit Cebu Parklane International Hotel’s Facebook page.